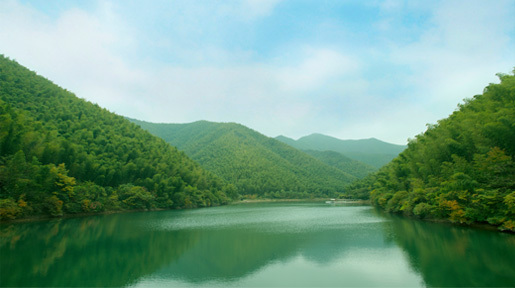 Summer Resort in Jiangsu, it is natural and cool and lower 5ºC than that in center city with no measure. 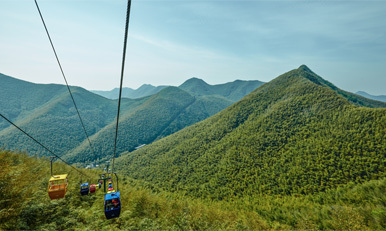 The undulating mountains stretch as far as eyes can see and a natural oxygen bar is created ten thousand Mu bamboo forest. 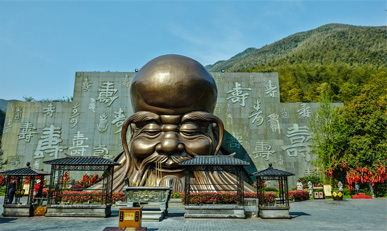 It is a longevity town in China and a spirit place for blessing and birthday felicitation to elders. The bamboo culture park highlights the essence of Chinese bamboo cultures. “Huali” and “Xing’an”, two national treasure pandas, are showing their charming and naive appearance. 52 outdoor bathing pools are scattered all over like stars in the sky and well-proportioned. It is an outstanding example of original ecology Jiangnan mountain hut, being with quartzite street, blue bricks and black tiles, carved beams and painted rafters, etc. 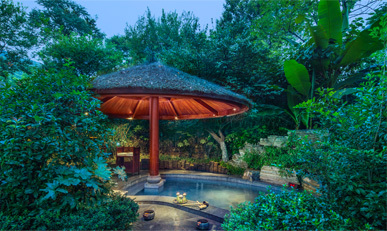 Experience the leisure life of civil street in ancient Jiangnan. Enjoy a whole afternoon leisurely and comfortably in QianCaiXun Tea House, with a cup of tea and several books accompanying. ZhenwWeiTang-Taste Nanshan delicacies and local dainty snacks at the thoroughfare of 3 provinces. Select and purchase handicrafts with strong local characteristics in street shops.